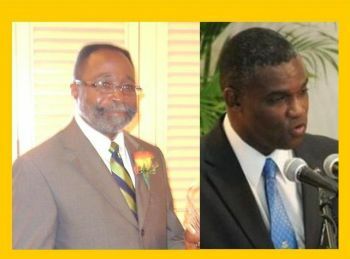 You are here: Virgin Islands News Online » News » With who does the ‘buck’ really stops with on BVIEC matters?! With who does the ‘buck’ really stops with on BVIEC matters?! 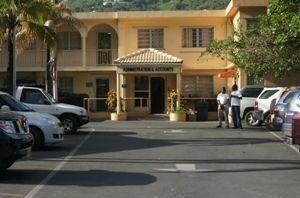 ROAD TOWN, Tortola, VI – Opposite sides of the House of Assembly have different opinions as to where “the buck” stops as it relates to matters of decision making at the BVI Electricity Corporation (BVIEC). This was heard during the debate on the appointment of Mr Ron R. Potter as the new Chairman of the BVIEC Board. During proceedings of the House of Assembly on November 19, 2013 Mr Ron R. Potter was given many accolades following the official announcement of his appointment to the position. Words of confidence and support were overwhelming from both sides of the House as most members rose and voiced their approval. However, the matter of where the ‘buck stops’ on decisions of the BVIEC heard differing opinions from Member for the Third District, Honourable Julian Fraser RA and At-Large Member, Honourable Archibald C. Christian. Given his opportunity to add to the debate on the appointment, Hon. Christian stated that he envisioned Potter being the Chief Executive Officer (CEO) of the BVIEC and noted that the ‘buck’ stops with him. The debate, which certainly did not miss the keen listening ear of the public, heard statements which suggested that Mr Ron R. Potter being at the helm of the BVIEC Board and Minister for Communications and Works Hon. Mark H. Vanterpool being the head of the overlooking Ministry will compose a good duo to work together. Leader of the Opposition, Honourable Ralph T. O’Neal OBE said Hon. Vanterpool was an action man and so was Mr Potter. “So the two will work well together,” said Hon. O’Neal. In the words of Member for the Eighth District, Hon. Marlon A. Penn, the expectations of the Communications and Works Minister from the BVIEC Board are “very lofty”. Thank you. Ron Potter is NO crony. And let us hope he doesn't change to be corrupt while under the watchful eyes of you know who. Chairman don't tow the line, appointment revoked. End of story. Once again the leader of the opposition has sense and says Mark is an action man. He is obviously please with what Hon Vanterpool is doing, he needs to bring Fraser in line and stop his childish complaints. All I know is that we the people have been over paying for their lousy handling of this situation. Is everyone in charge incompetent? What training have these people in charge had to run this country? Instead of finger pointing and letting everyone see their incompetence, they should have gotten together and came up with a solution so we the people can stop being victimized. when are we going to get those energy saving light bulbs that archie/ndp promised us? Energy saving lights bulbs won't do any good if your bills/consumption are doubling for no apparent reason. That needs to be looked into. New meters causing problems perhaps? I really think they need to check the automated metering system. something is wrong there. You are so VIP and expect everything to be given to you, go to the store and buy them like I did! SMH! I wish people could understand that the reason for the fuel surcharge is that they have not put up the basic unit cost for 30 or more years, and the price of fuel has escalated many times over since then. It seems inexpedient for them to raise the basic unit rate with inflation, but by not doing so they have caused this confusion among the public. Do you expect the price of gas, bread, etc not to have increased over the years? Boy, I think you're overplaying this issue. Greetings and one love to all critical thinking Virgin Islanders. Frazer is really beginning to earn his keeps. May he, and his great team prevail in the next elections.